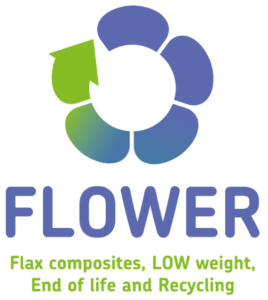 The highlights of November were several working meetings between FLOWER partners: meetings and conference calls were scheduled between academics and industrial partners to launch the technical and scientific activities. The first steps were dedicated to the specifications of the new reinforcements and the quality and choice of varieties of the flax fibres necessary for the semi-products. After INRA’s PhD students in October, the partner University of South Brittany welcomed at the beginning o the month the 2 new PhD students who will be working on the scientific subjects and issues of FLOWER. A warm welcome to Maxime Gautreau (INRA), Emmanuelle Richely (INRA), Delphin Pantaloni (UBS) et Alessia Melelli (UBS) in FLOWER team ! The University of Portsmouth is currently recruiting as well, expected for beginning of 2019 : Click here to find the job description and apply for the job ! The other key event of the month was the 2nd Steering Committee Meeting. Partners gathered together in the scuttching factory of the partner Depestele – Teillage Vandecandelaère in Valmartin (Seine-Maritime, FR). 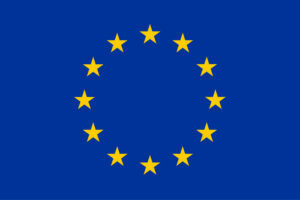 The meeting was divided into three parts: each partner presented their progress in relation with the provisional calendar and the deliverables expected early in the morning. 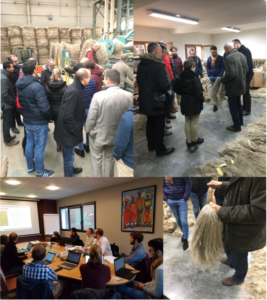 Before lunch, they visited the scutting lines, it was a good opportunity to discover the first steps of flax fibres transformation in the process of new reinforcements’ creation! The afternoon was then dedicated to administrative, financial and communication aspects. 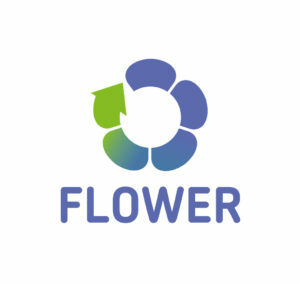 The next Steering Committe of FLOWER will take place in April 2019, the partner INRA will welcome the partnership in Nantes. This meeting will run parallel to the first conference organised within FLOWER and will be held April, 25th 2019 and will be co-organised with GDR SYMBIOSE. You can already take note of this event in your calendar !